Protect your digital gear in style while on the go. 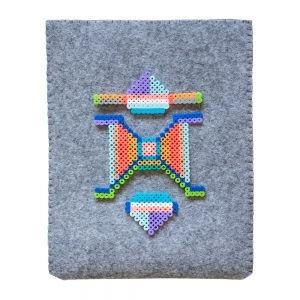 Showcase your creative side by adding your own customized design to a soft tablet case. 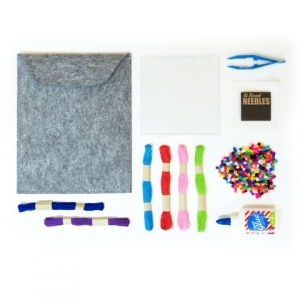 Our DIY craft kit comes with fabric, bright beads, and a colorful assortment of embroidery thread to create an original look. Recommended for ages 7 - 12. 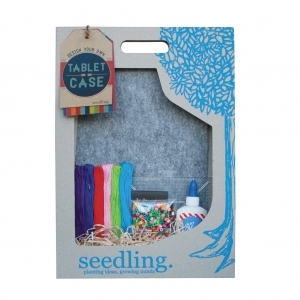 This Seedling Kit contains: Pre-made Tablet Case, Square Pegboard, Tongs, Plastic Beads, Wax, Embroidery Thread, Needle and Instructions.